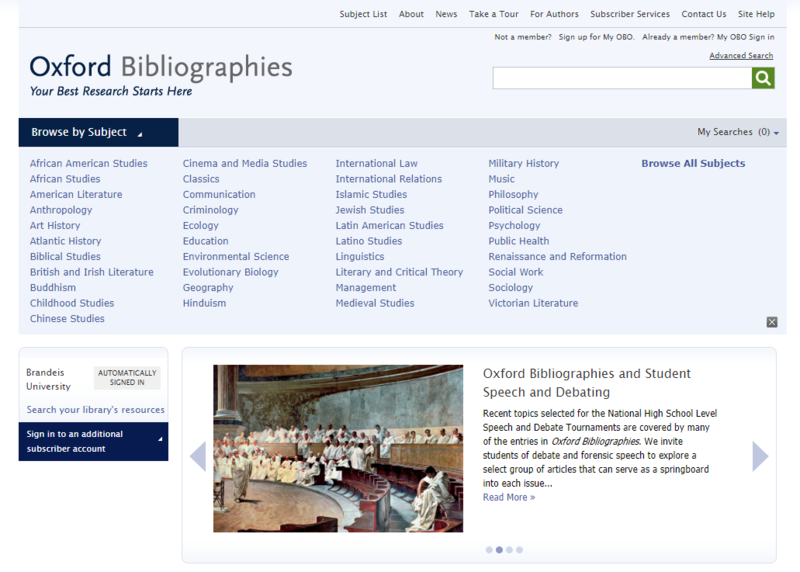 Oxford Bibliographies combines the best features of an annotated bibliography and a high-level encyclopedia to guide you toward scholarship in a range of disciplines. This resource provides faculty and students alike with a seamless pathway to the most accurate and reliable resources for a variety of academic topics. Written and reviewed by academic experts, every article in the database is an authoritative guide to the current scholarship, containing original commentary and annotations. Visit the database to learn more!